Alignment, Being Empowered, and Correct Training are the three components to effective Posture Correction and Posture Possible aims to is the best at providing information on each. Posture Possible was created to be a trusted resource to learn, understand and discover ways to improve and correct posture. To be the premier site for all things possible to improve posture. 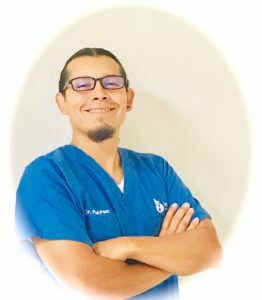 What makes this site so unique is the application of knowledge and training from Dr. Paul Paez, DC a posture expert of more than 20 years. Posture Possible combines the latest research and Dr. Paul’s clinical experience of practical, useful and relevant information on the three aspects of posture correction. Creating PosturePossible pulls from thousands of hours of training which include a Chiropractic Doctorate at Life University. Post graduate training at American Posture Institute and research from medical journals such as The Spine Journal, Journal of Orthopaedic & Sports Physical Therapy, Diabetologia, Journal of American Geriatric Society, Journal of Physical Science and JAMA. Health and wellness has been a passion of Dr. Paul for most of his life. As early as 7 years of age he participated in sports year round. He applied the latest sports performance technology to everything he did. As he got older science and research on human performance became more prolific. As a culture we learned more about optimizing nutrition, biomechanics and physiology. As time passed athletes became stronger, faster and more agile. The need to find more places to improve an athletes’ performance pushed the exploration of the human body. Dr. Paul “grew up” in this culture of optimizing human function and performance. So, quite naturally when he became a healthcare practitioner he wanted to apply it to his patients. The birth of Posture Possible came after years of studying and applying posture correction then wanting to share that knowledge with as many people as possible.